Autoplay is one of the great features in Turn Off the Lights browser extension that makes your video experience more enjoyable. When you enable this option, and you click on the play button on an HTML5 video. It dims the screen and highlight automatically the video player such as YouTube, Vimeo, Dailymotion. Want to go back to the previous web page style? Click on the pause button and the dark layer will fade away. How to enable this Autoplay feature? Doesn’t work? Here is the Solution! Mostly this is caused by the other extensions you are using in your web browser. To fix this click on the menu icon in your web browser and select the menu item “Options”. Click now on the panel extensions. On that page you see the list of installed extensions in your web browser. 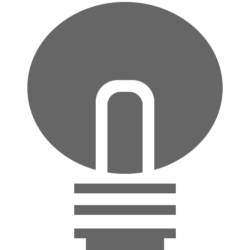 Disable now one by one the extension you are using except the Turn Off the Lights extension. Want to see the steps again in a video. Watch Jayne YouTube video here on how to fix this feature in your web browser. Liked what you saw or read? Don’t forget the share this tip with your friends. And if you have any questions, please don’t hesitate to contact us on our support page or leave a comment in the YouTube video.